in New York and Provincetown, MA. He married the sculptor Betty Burroughs in 1923. Marsh's first one-man show was at the Whitney Studio Club in 1924. In 1925, Marsh worked for the New Yorker, did freelance work for Esquire, Fortune and Life magazines, and made the first of six European trips. In 1927, he enrolled at the Art Students League to study with Kenneth Hayes Miller, George Bridgeman, George Luks, Macque Maroger, Stanley William Hayter and Mahonri Young. Marsh studied anatomy at the College of Physicians and Surgeons in New York and later wrote Anatomy for Artists. Marsh's first marriage ended in divorce, and in 1934 he married the painter, Felicia Meyer. 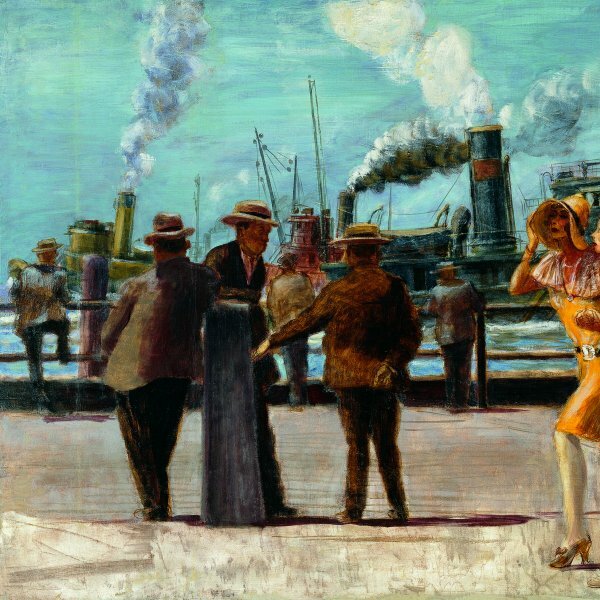 In the mid-1930s, Marsh received commissions for murals in the Washington, D.C., Post Office Building and the New York Custom House. Though painting and exhibiting regularly, Marsh assumed a full-time teaching position at the Art Students League in 1942. In 1943, he was the artist correspondent for Life magazine in Brazil, Cuba and Trinidad. Marsh was a summer guest instructor at Mills College, Oakland, California, in 1946, and in 1949 was appointed head of the Department of Painting at the Moore Institute of Art, Science and Industry in Philadelphia. Marsh died in Dorset, Vermont, on 3 July 1954.